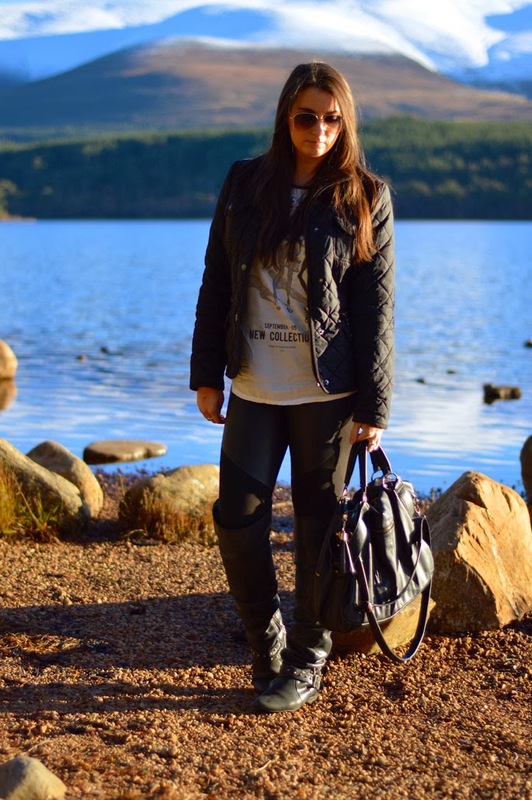 A trip to Aviemore was made perfect by some winter sun at the weekend. It was bitterly cold but when the sun was on you, it was very pleasant and perfect for a light jacket rather than a winters coat. I got this top from Zara and absolutely love it although it is extremely difficult to keep crease-free ... It is that kind of material unfortunately!!! 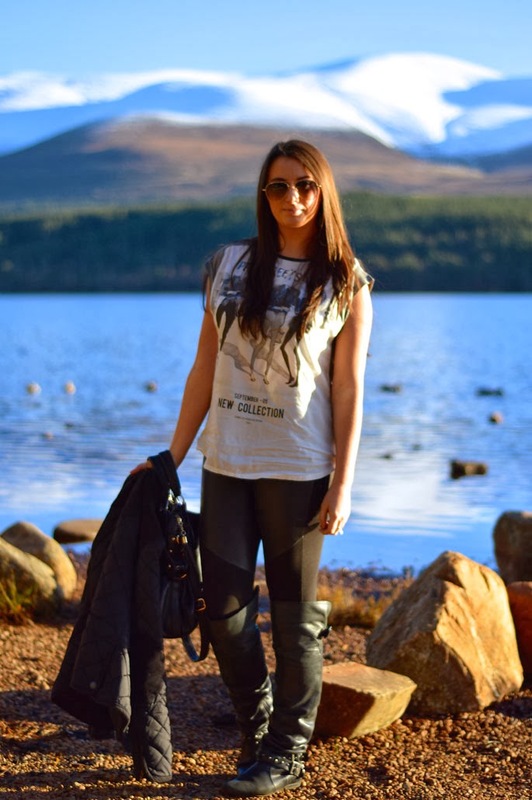 Again, I am wearing my favourite panel leggings from Dorothy Perkins and my over the knee flat boots ... So comfortable and perfect for walking about. You look great and that place looks beautiful! I love the leggings. Love wearing sunglasses in Winter! Have you heard about Victoria's Secret Fashion show, and the 10 million dollar bra?! Check out my blog - www.lovefromsimmie.com for exclusive pics & my fave outfits from the night!